Having puffy face in the morning, though might even be completely normal, is not always the most attractive sight. What’s worse, is that it can take a while before the swelling eases and allow the face to revert to its natural shape. But luckily, there are many ways to ease this puffiness, the most effective of which is by using a jade facial roller. Jade facial rollers were first used during the ancient Chinese, Aztec and Indian civilizations. They were then exclusively accessible to kings, queens and influential people. Using a jade roller is believed to bring prosperity, balance and good luck to its user. It’s also said to realign a person’s chi energy, helping them become healthier. Since it’s time of invention, the jade roller has never left the beauty industry. During the turn of the 21st century, jade rollers were commonly used in spas and parlors as part of their facial routine. In recent years, however, this unique and elegant tool has skyrocketed to even more popularity thanks largely to social media. 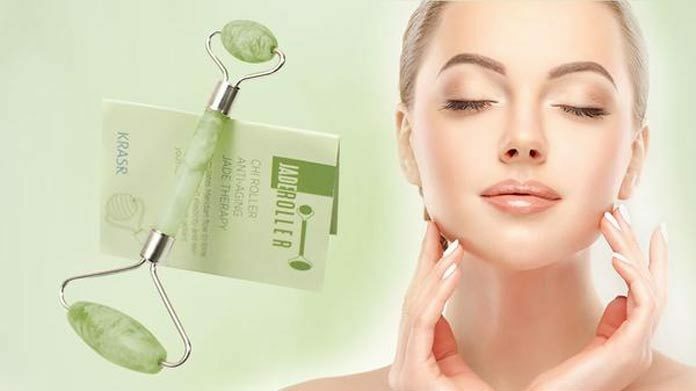 Jade rollers are popular for toning the face and reducing the appearance of eye bags, by draining toxins and excess fluid through lymphatic drainage. It’s usually done by massaging the face, stimulating the area around the lymph nodes and pushing toxins towards various drainage points. It gives the lymphatic system a boost, which also works as the body’s additional layer of protection against bacteria and viruses. Jade rollers promote proper blood circulation as well as collagen and elastin production. It also brightens the skin’s complexion through the silicate minerals inherent to jade stones. Regular use of jade rollers can make the skin smoother, lighter, tighter and more elastic. Also perfect if you’re looking for a natural way to reduce the appearance of fine lines and wrinkles! Moreover, using a jade roller can help in better absorption of moisturizers and serums which makes it an incredible adding to your current skincare routine. It pushes more product into the pores therefore allowing these products to work better and faster. Jade rollers have been around for centuries and throughout these years, methods of its proper usage have been developed to guarantee its full effect. When using the tool, remember to start at the center of your face, specifically bridge of your nose and work your way outward. Make several strokes in the same area before moving to the next. Despite the existence of many beauty tools in the market, many people still prefer to use jade rollers partly because of the soothing sensation it brings to the skin. It provides a gentle massage that’s relaxing and calming, almost similar to the feeling of getting a facial massage at a fancy spa. While jade stones are naturally cool to the skin, dipping a jade roller in cold water or ice can make it even more soothing to the touch. Jade roller are also lightweight and easy to carry, which makes using them virtually effortless and hassle-free. There are a ton of reasons why people love jade rollers. But generally, this fancy tool is getting a lot of attention for its simplicity and efficacy. It’s a unique tool that you can rely on for toning, smoothing and softening your skin. 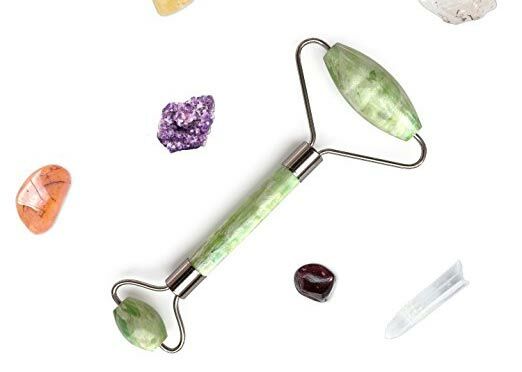 A jade facial roller is the perfect beauty tool for you if you’re looking for a product that’s natural, non-invasive and easy to use. Getting a jade roller is also easy, as they can be bought almost everywhere. You can buy them on Amazon and Ebay for a price that won’t break the bank for you. You can also choose to buy a pure jade roller from a trusted beauty company or other legitimate sellers. Typical price range for jade rollers is usually around $10 to $90 — quite cheap, considering how long you can use it in your beauty routine. A jade roller can make your skin look young and revitalized. It can make you feel more confident in facing your everyday, knowing that you look well-rested, refreshed and beautiful. They say beauty is power; a smile is its sword, but really, a little help from a jade roller wouldn’t hurt. Previous articleWhat you need to know about critical illness plan?